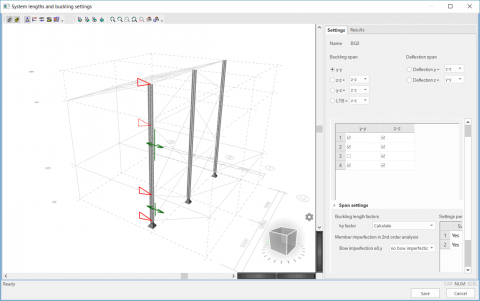 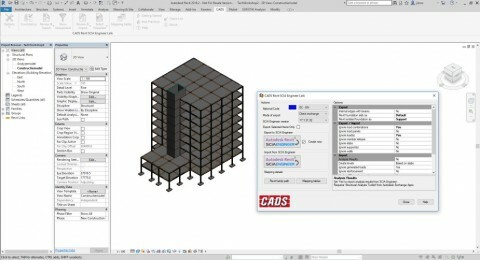 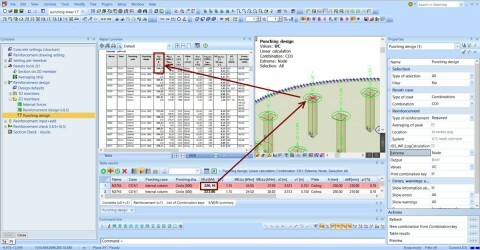 SCIA Engineer 18 brings a large number of enhancements and new features. 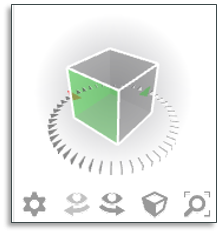 This release moves SCIA Engineer to the next level in terms of usability, material design and interoperability. 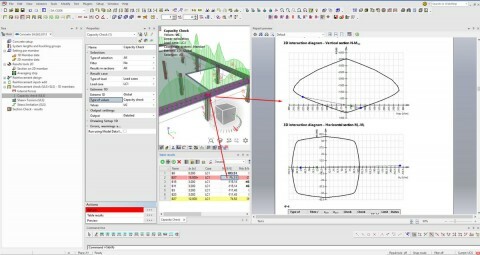 Enhanced usability with streamlined workflows for more effective work and faster learning of the software (simplified buckling settings, a new 3D navigation control...). 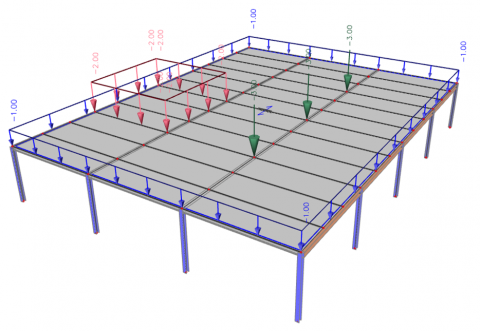 Advanced materials and floor systems expanding the array of possibilities for multi-material design (steel fibre reinforced concrete, autodesign of composite floors, support of structural glass design…). 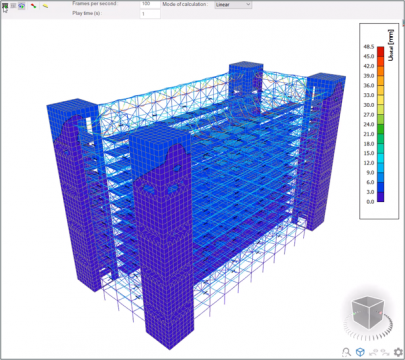 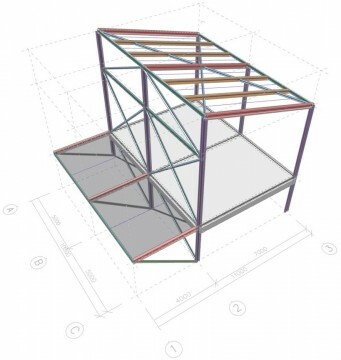 Extended information flow in BIM with upgraded roundtrip links to Revit and Tekla Structures that bridge the gap to concrete and steel detailing. 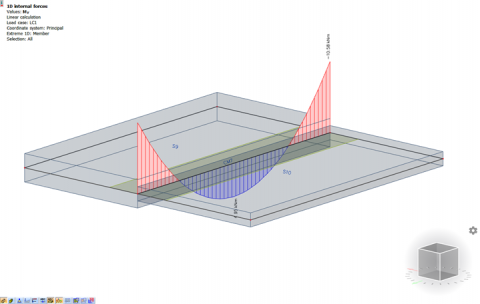 Nonlinear combinations can be easily and directly derived from an existing linear envelope combination. 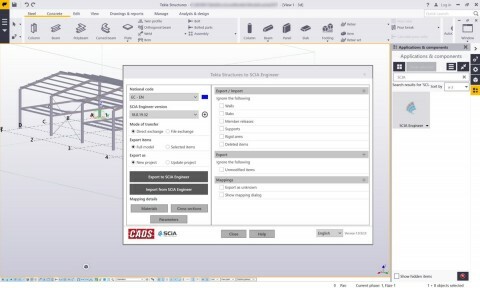 The SCIA Engineer tree-menu has been modified in terms of both look and behaviour to provide easier access to individual functions. 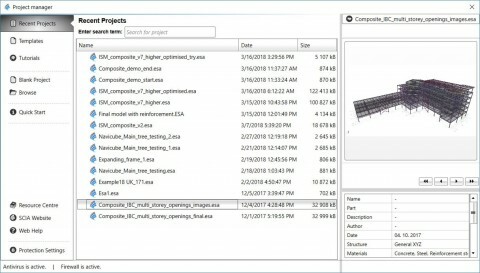 The Project Manager, which opens at the start of SCIA Engineer, now offers direct access to numerous learning materials: learning videos, step-by-step tutorials accompanied by their sample project. 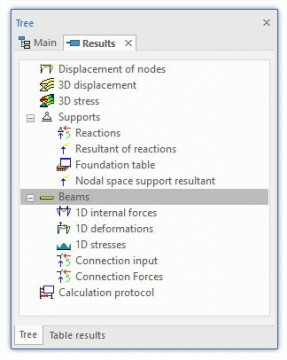 This enhancement enables you to easily differentiate the types of loads in a model: point loads, line loads and surface loads, by assigning a specific colour. 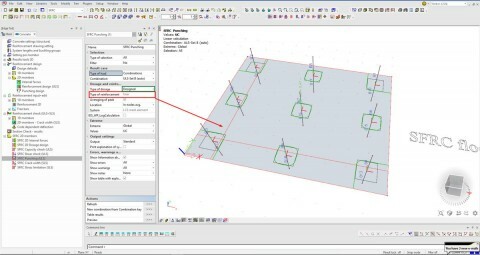 Link to the external FD+ application for the design of foundation pads developed by FRILO Software GmbH.